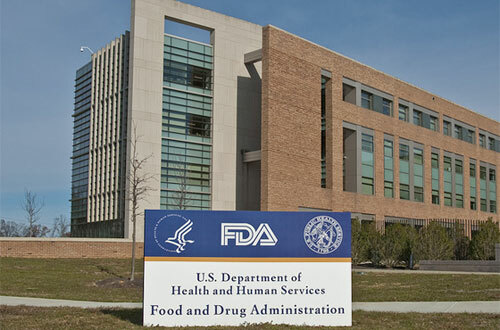 Approvals of new molecular entities (NMEs) by the US FDA totalled 45 last year, the highest annual tally since 1996, according to the regulator. The NME list is a little ahead of the 41 new drugs approved in 2014 but well above the average of 28 between 2006 and 2014 - when the often-cited decline in pharma's R&D productivity started to be felt in earnest. However, more important than the number was the quality of new drug and biologic approvals, according to the FDA, which said the new crop "will offer much to patients in need", including "more 'orphan' drugs for rare diseases than any previous year in our history". In a blog post the director of the FDA's Center for Drug Evaluation and Research (CDER), John Jenkins, said: "I'm pleased to report another strong year for FDA approvals of novel new drugs, which offer many patients new treatment options for serious and life-threatening conditions. "During this past year, we approved many new drugs to treat various forms of cancer, including four to treat multiple myeloma, and others to treat lung, skin, breast, brain, colorectal, and other cancers," he added. NMEs in 2015 included 16 first-in-class compounds - accounting for more than a third of the overall total which can be viewed on the agency's website. Among these, the FDA highlighting Merck & Co's neuromuscular blockade reversal agent Bridion (sugammadex), Pfizer's CD4/6 inhibitor Ibrance (palbociclib) for breast cancer and Boehringer Ingelheim's Praxbind (idarucizumab), a reversal agent for the company's novel oral anticoagulant (NOAC) Pradaxa (dabigatran). Tellingly, almost half (47%) of the new drugs and biologics were for rare diseases that affect fewer than 200,000 patients in the US, reflecting pharma's increased interest in these medicinal products - and the high prices they tend to command. Among those name-checked by the FDA in its commentary are Alexion's Kanuma (sebelipase alfa) - the first treatment for lysosomal acid lipase (LAL) deficiency - along with Vertex' cystic fibrosis therapy Orkambi (ivacaftor plus lumacaftor) and United Therapeutics' paediatric bran cancer therapy Unituxin (dinutuximab). The US was the country of first approval for 64% of the NMEs, 87% of applications were cleared on first review with no need to ask for additional information and almost all (96%) of applications were processed by the predicted review date. There were also 40 NME filings during the year - at the top end of the typical range (23 to 41) seen in the last decade.